The world awoke on Monday to the stunning news that one of our music idols, a man who reinvented himself time and time again through a career that spanned nearly five decades, was dead from cancer at the age of 69. 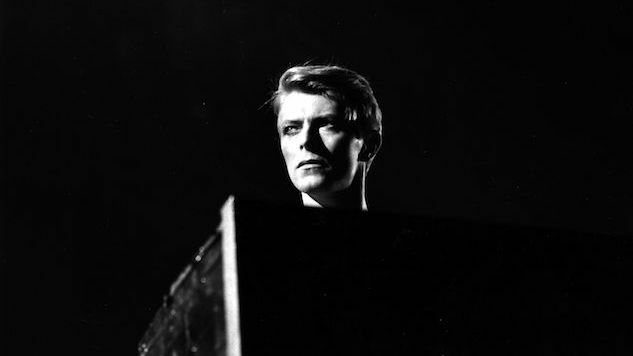 The magic of David Bowie and his influence on the world is nearly impossible to sum up, but whatever words are used to describe the man—innovator, rebel, iconoclast, genius, the list goes on and on—he managed to make a mark on many a generation with his wide array of contributions to the worlds of music and film. For some, he was Ziggy Stardust, rock star protagonist of a seminal album of the 70s. For others, he was Jareth the Goblin King, the evil, baby-snatching figure looming at the heart of the Labyrinth. He was the Thin White Duke. He was the chronicler of Major Tom’s journey to space. He was, more than anything, never exactly one thing at all. That truth was reflected in the explosion of tributes on social media that followed the announcement of his death. Because there was no warning, the emotion that washed over the connected world was palpable in ways that defied the cold, impersonal nature of communication in the digital age. The anguish over Bowie’s death was certainly felt in the soccer world. A number of notable players, a few clubs, and a sprinkling of media added to the expressions of grief rolling through Twitter and beyond. They range from simple messages of peace for Bowie to fuller exhortations of despair that such a unique and irresistible creative mind was taken from us much, much too soon.